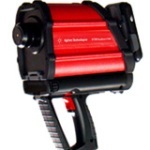 This video shows the interview with Nicholas X. Randall Vice President Business development CSM Instruments on Nano Tribometer. In this video Matt Nikow, Spectroscopy marketing manager from Agilent Technologies talks about the 4100 ExoScan FTIR spectrometer. 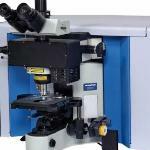 In this video Ryan Kershner, Product Manager, Raman Spectroscopy from Thermofisher Scientific talks about the DXR Raman Microscope. 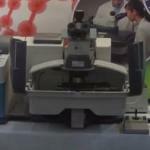 In this video Drew J. Griffin, Sales Application Scientist from Bruker talks about the ContourGT-I 3D Optical Microscope at MRS 2012. In this video Matt Nikow, Spectroscopy marketing manager from Agilent Technologies talks about the compact benchtop Cary 630 FTIR spectrometer. In this video Matt Nikow, Spectroscopy marketing manager from Agilent Technologies talks about the Cary 600 Series FTIR spectrometers. 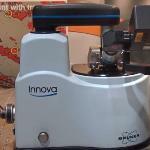 This video shows the interview with Daniel Meyer, Sales Manager at HORIBA Scientific. 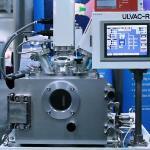 In this video Evan Sohm, Marketing Manager of ULVAC Technologies describes about the newly developed coaxial vacuum arc deposition system, APD-S. 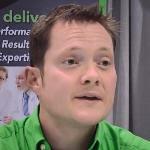 In this video Craig Wall from NT-MDT talks about the OPEN, a fully automated AFM. 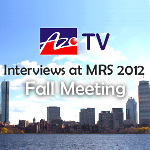 In this video Bryan Crawford from Nanomechanics gives a run down of the capabilities of Nanomechanics' Analytical Services Laboratory at MRS Fall 2012 in Boston. 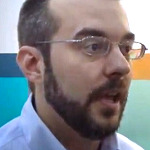 In this video Craig Wall from NT-MDT talks about the SPECTRUM. 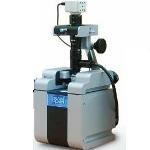 The SPECTRUM is a fully automated AFM-Raman-SNOM instrument. 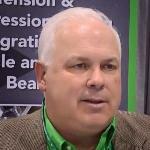 In this video Thomas Muller Product line Manager AFM Unit Bruker talks about the release of a new line of IRIS TERS Probes at the 2012 Materials Research Society (MRS) Fall Meeting. 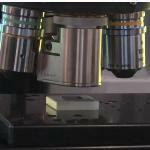 In this video Warren Oliver, President of Nanomechanics, gives an introduction to Nanomechanics and their inSEM mechanical properties measurement tool. 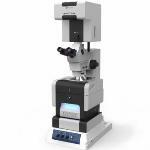 In this video Ryan Kershner, Product Manager at Thermo Fisher Molecular Spectroscopy talks to AZoNetwork about the DXR Raman Microscope.